The Summit Sportsman National Championship makes its debut at Immokalee Regional Raceway February 3-5 in what will be a historic beginning of a new National Championship program for IHRA class racers. Awaiting participants of the Summit Sportsman National Championship at the end of the 15 double race event weekends is an industry leading points fund. The Summit Sportsman National Championship will award $15,000 to the national champion, $5,000 to the runner-up and $3,000 to third place finisher in Top Sportsman, Top Dragster, Stock, Super Stock, Quick Rod, Super Rod, Hot Rod. Junior Dragsters will compete as one class and feature a national points fund of $2,000 to win, $1,500 for second and $1,000 for third. Summit Sportsman National Championship competitors will get a double dose of events in February as the weekend after the Immokalee double event Palm Beach International Raceway will host the second double race weekend of the season. This will give competitors traveling South to start their season four races in two consecutive weekends. At the completion of the Immokalee event, competitors will be welcomed to Palm Beach International Raceway for parking during the week between events. Specific details on early parking and a racer party for early arrivals prior to the PBIR event will be released soon. 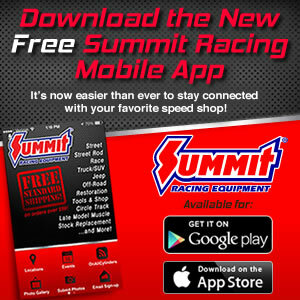 The Summit Sportsman National Championship program details and points fund information can be found by clicking HERE. The event schedule for the Summit Sportsman National Championship event at Immokalee Regional Raceway can be found by clicking HERE. The IHRA online rulebook featuring class rules for the Summit Sportsman National Championship can be found by clicking HERE.